The needlepoint design area measures approximately 12.5" x 16". If you wish to purchase stretcher bars we recommend one pair of 16" and one pair of 19". 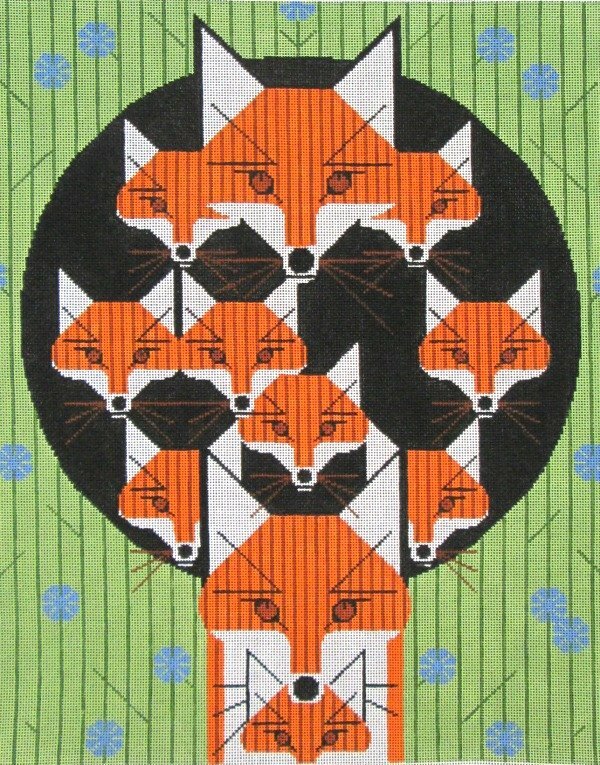 This Foxsimilies Charley Harper needlepoint canvas usually ships in a few days. You can always check availability before you order.